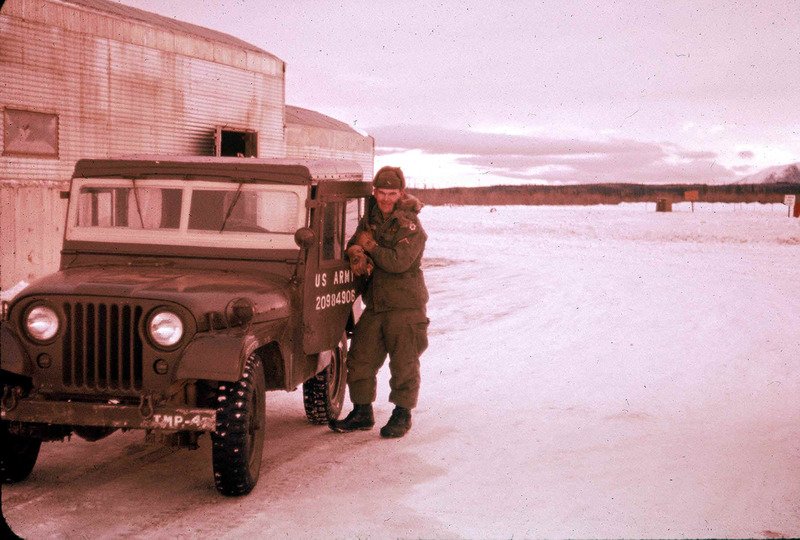 1 Shot of M37 with arctic kit in Alaska sent to me my JerryP. 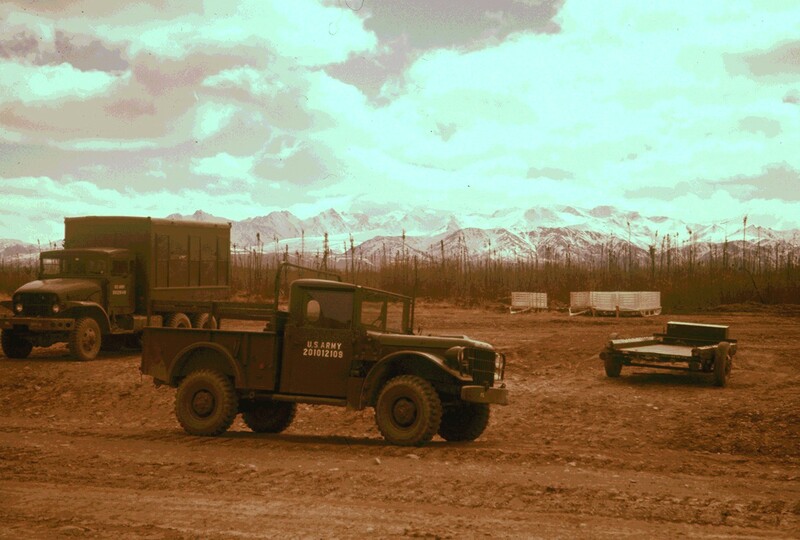 Photo taken when he was stationed in AK. 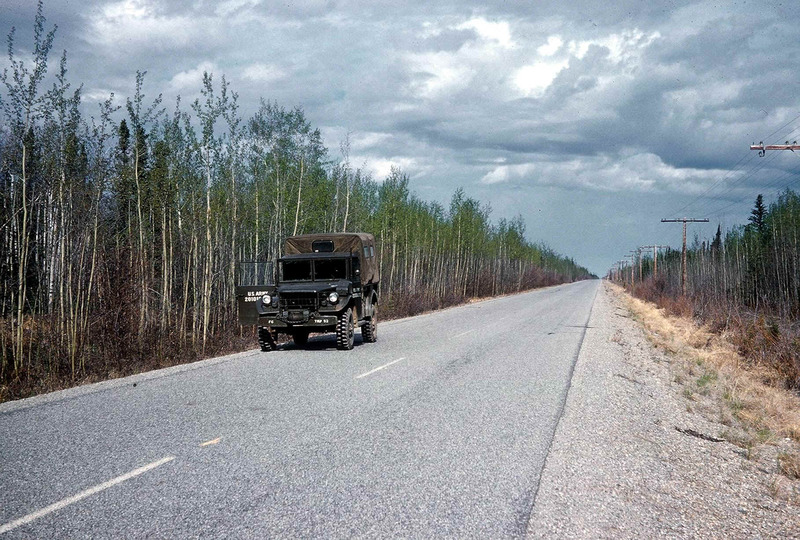 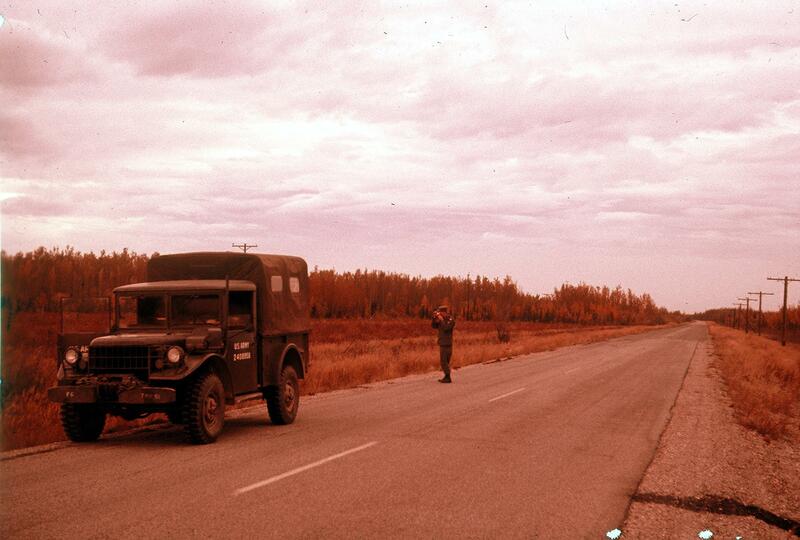 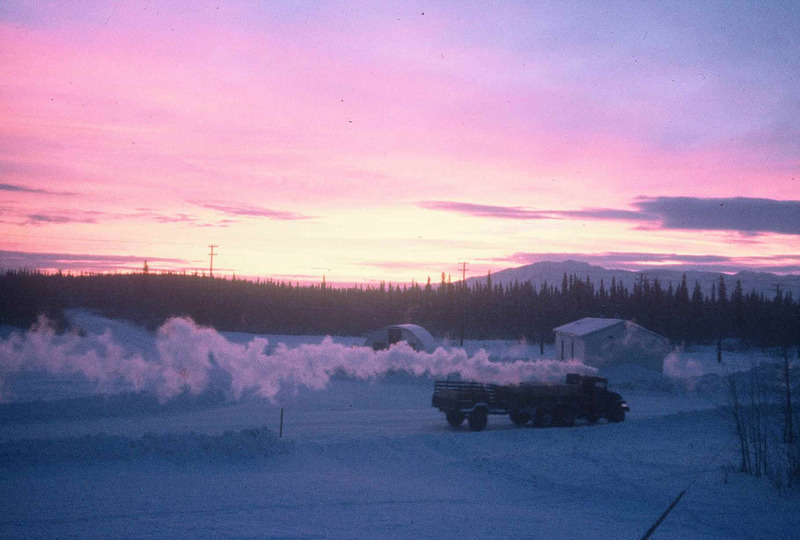 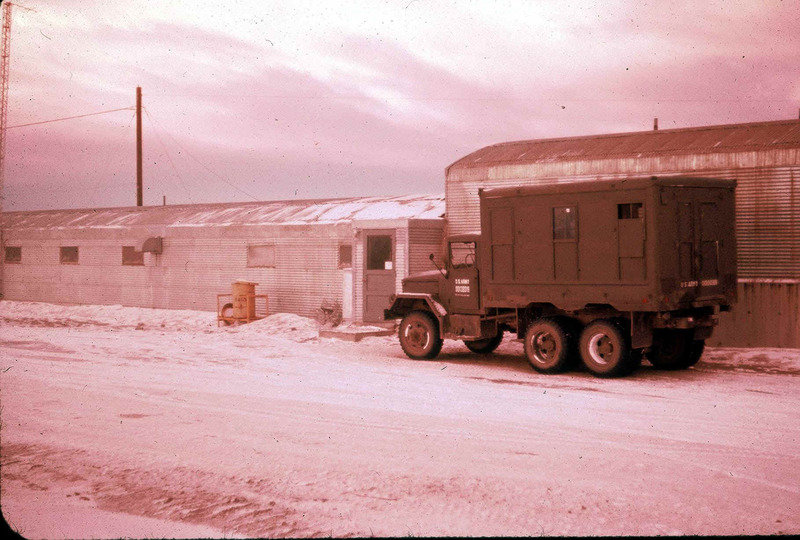 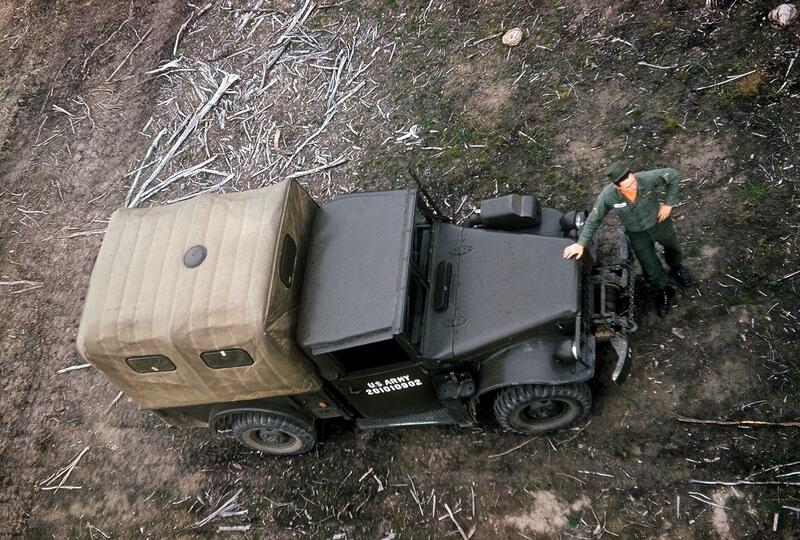 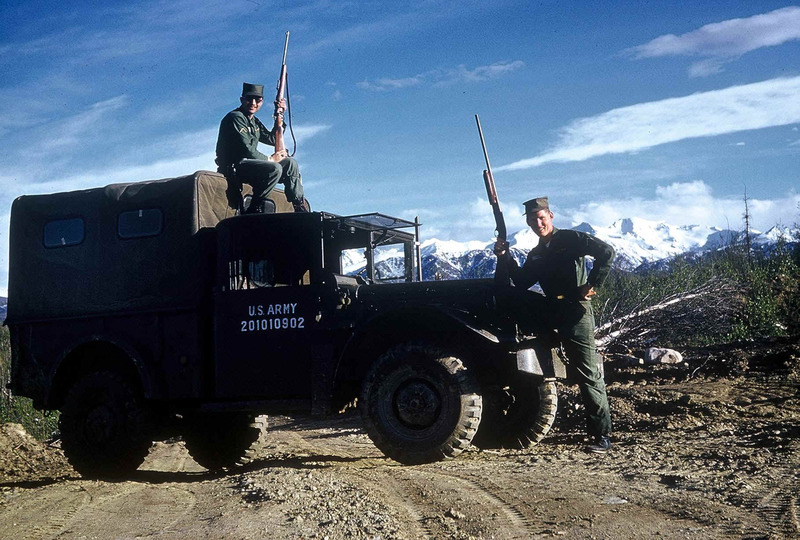 2 Shot of a M37 and M220 GMC shop van taken by JerryP in Alaska during 1960-61while in the Army at Ft.Greely. 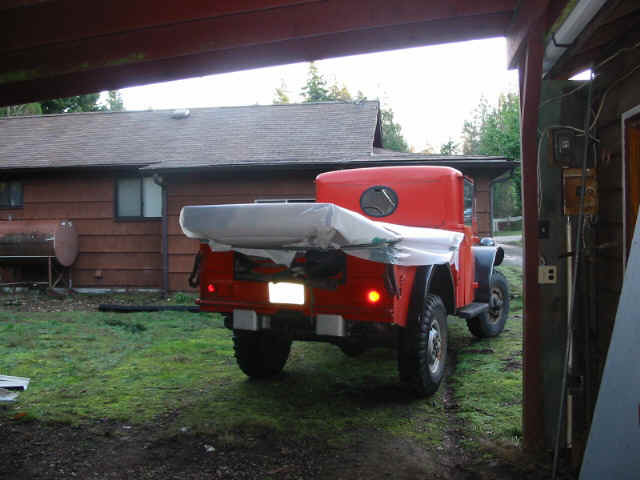 4 Jerry thinks that the numbers are not on the hood because sometimes the hood was covered by a canvas insulating blanket. 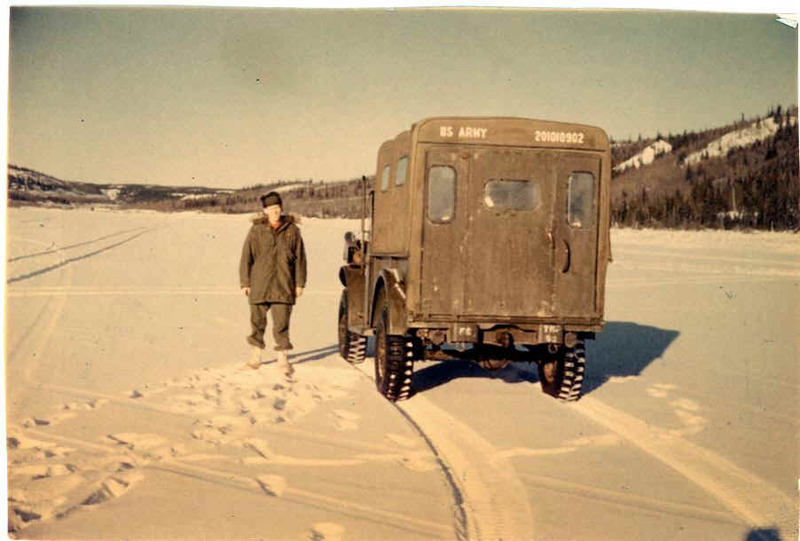 You can see in the photo that there are attachment points on the hood for the hood blanket but the only time Jerry saw them used was the last half of December 1961 when it stayed 50-60 below for about two weeks. 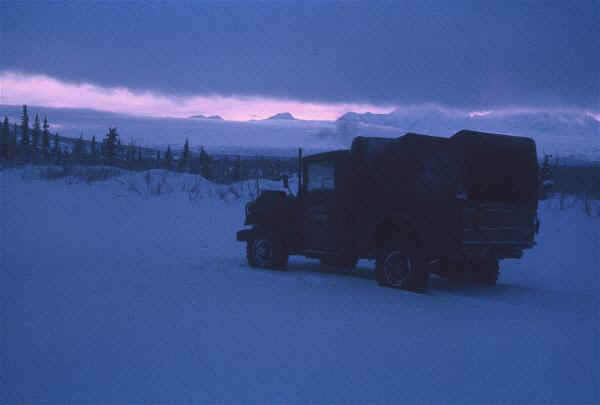 5-6 More from Jerry taken in AK. 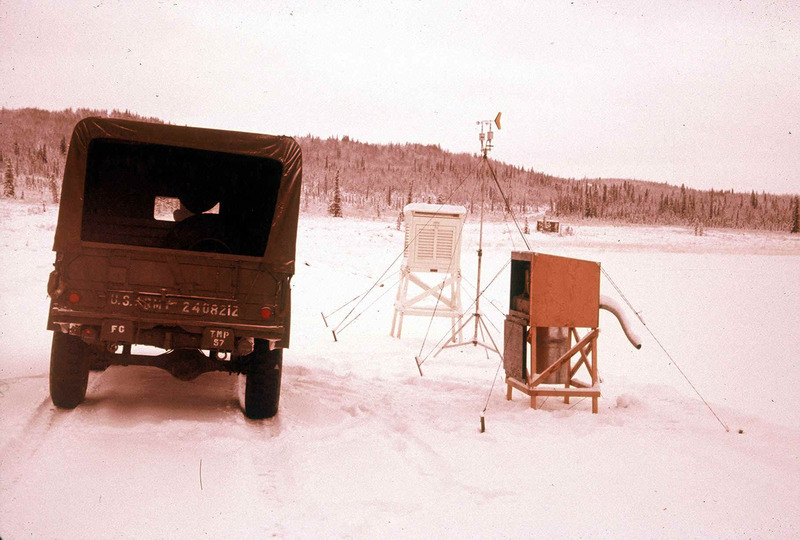 8 Jerryt was in the Signal Corp as a weather observer in support of the Continental Army Command artic test activity. 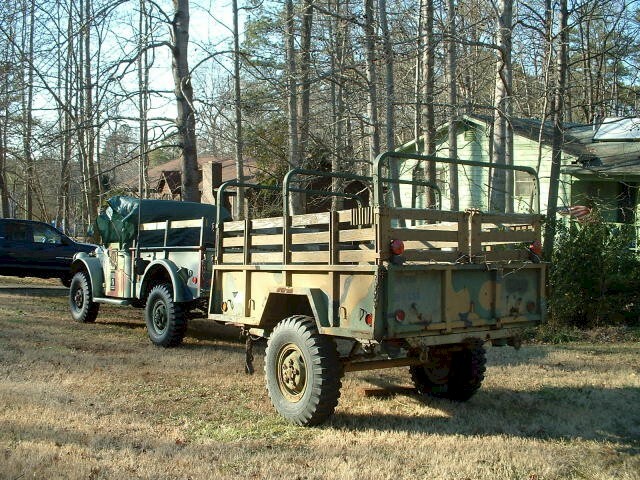 10 M37 next to a Texas gocart built by R G LeTourneau Longview, Texas. 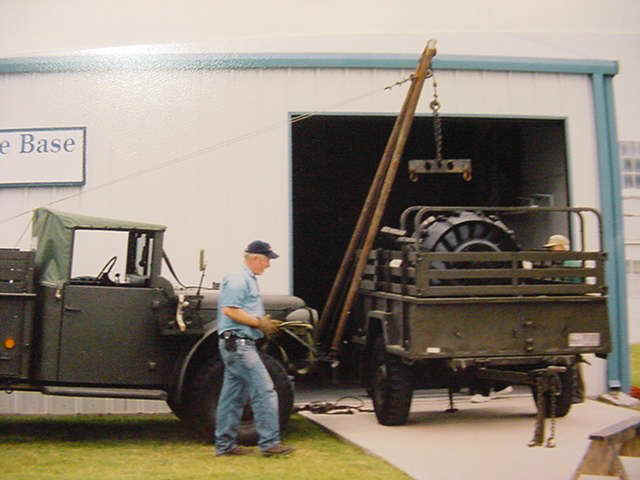 The LeTourneau College website states that the power unit for the overland train was seen in a salvage yard north of FT. Wainwright in 1998. 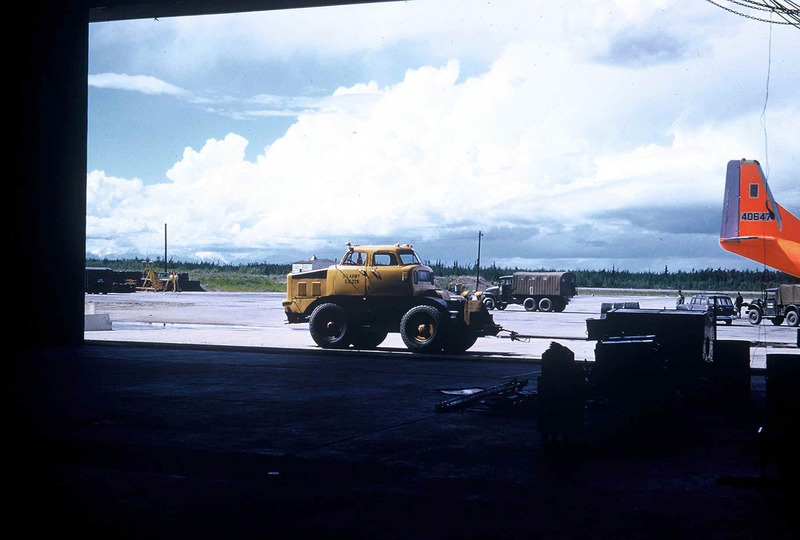 Jerry says that he only saw it once come through Ft. Greely but that he did see it inside an aircraft hangar at Ft. Wainwright sometime later on. 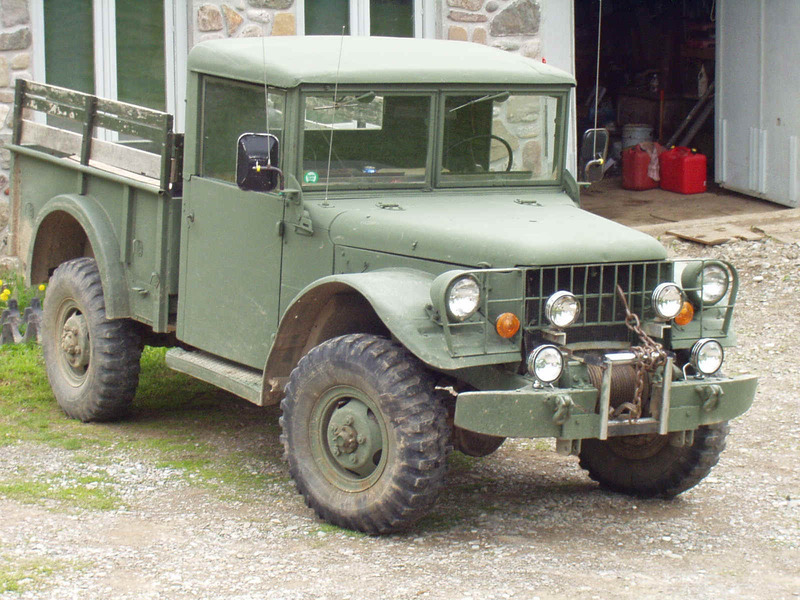 11 You may have noticed some of the hard top cabs are the early type with an oval rear window.All trucks had delivery dates in 1951-52. 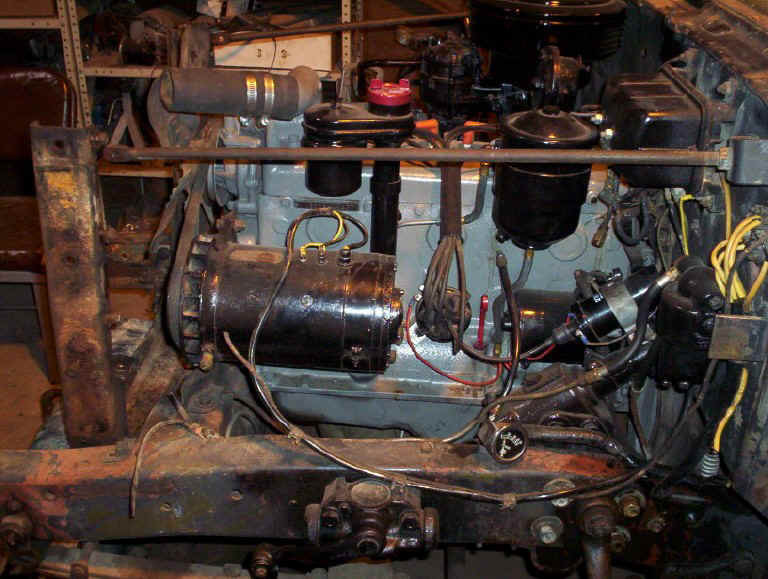 16 M109 REO gas engine. 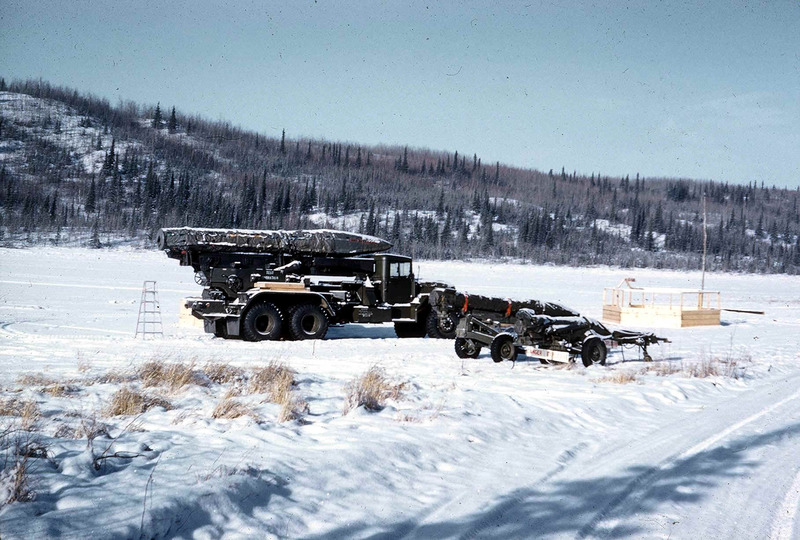 17 M52 602 ci gas hauling M76 Otter. 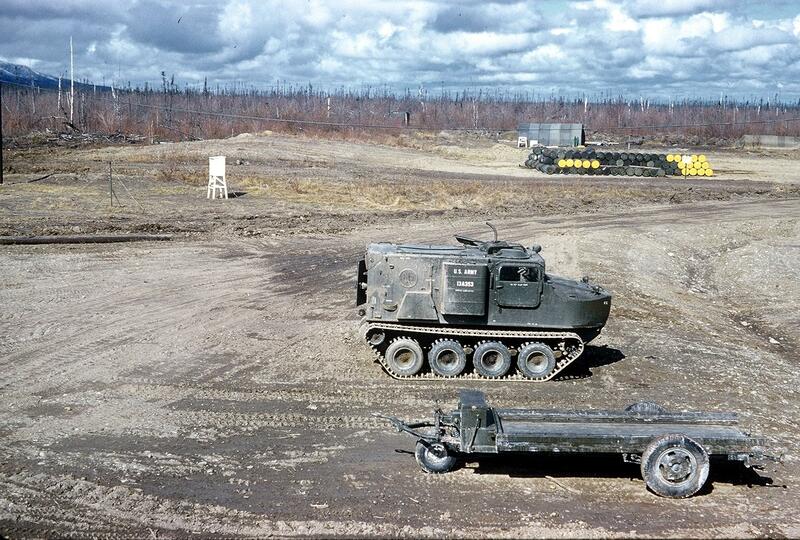 21 M76 Otter in the middle of the photo. 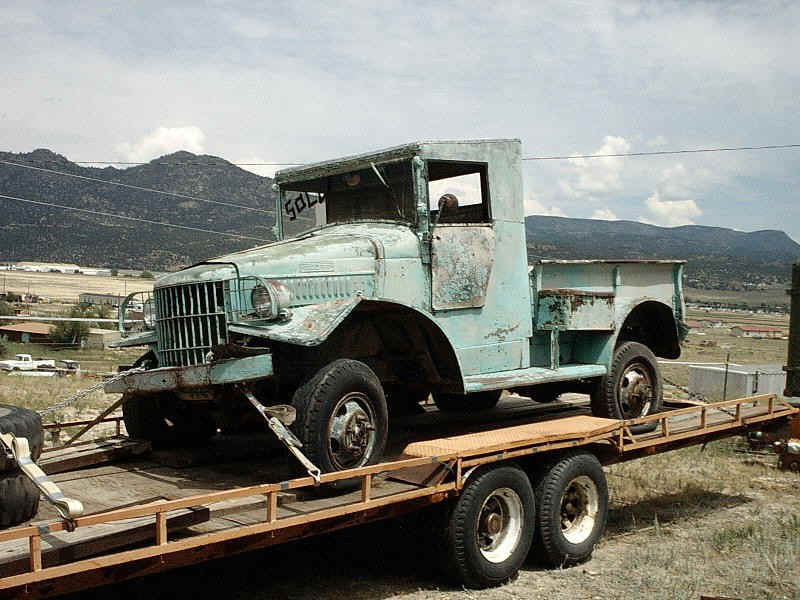 23 Jerry reports that he has never seen another picture of this particular truck in any literature. 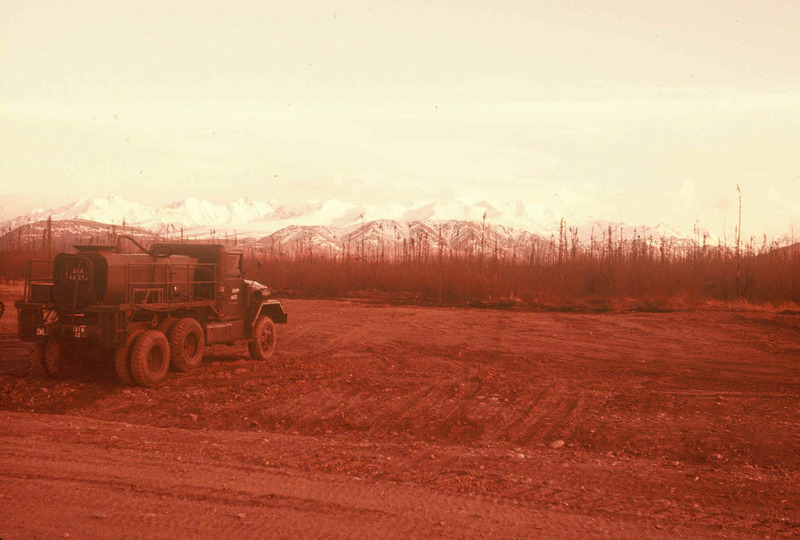 It is a chemical corp decon truck.It has agitators in the tank and a pump and spray nozzles. 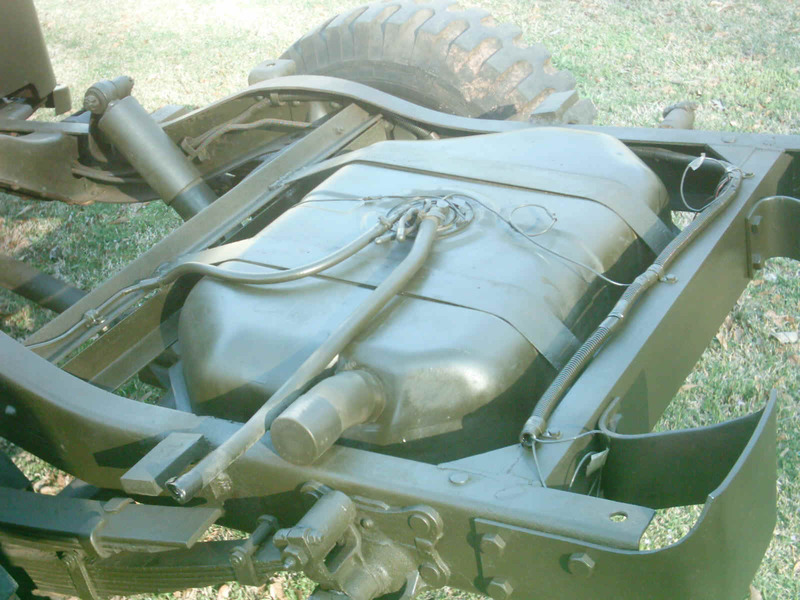 26 Rear end of a M37 equiped with an artic kit. 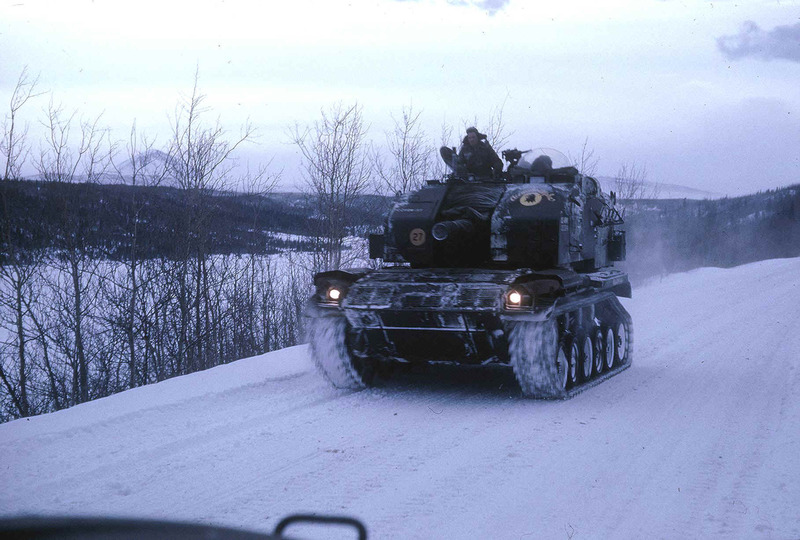 27 Jerry at the wheel of an arctic equiped M38. 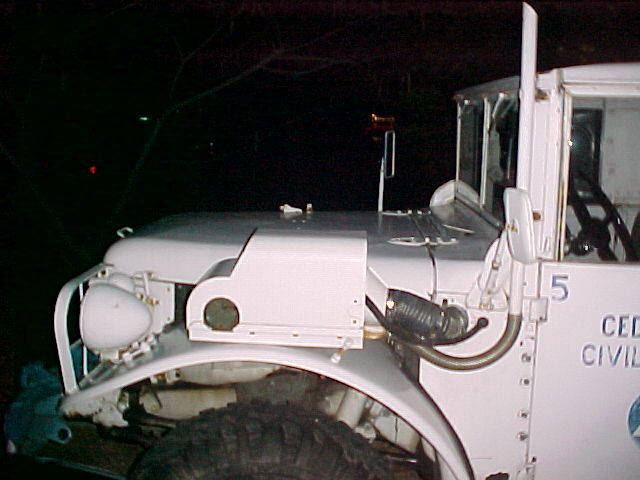 The gas fired personel heater is right in front of the windshield. 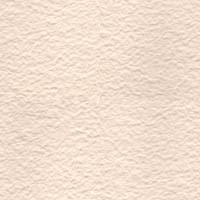 28 This picture is especially intresting if you zoom in on some of it . 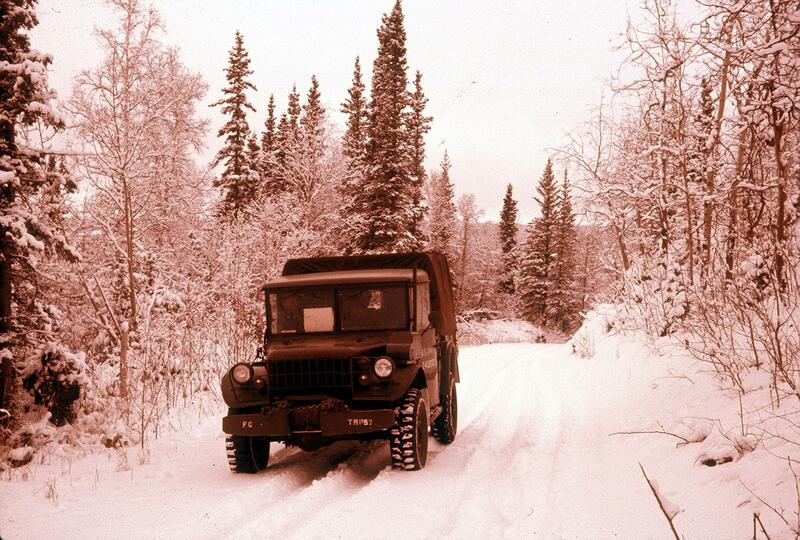 This was during a winter field exercise. 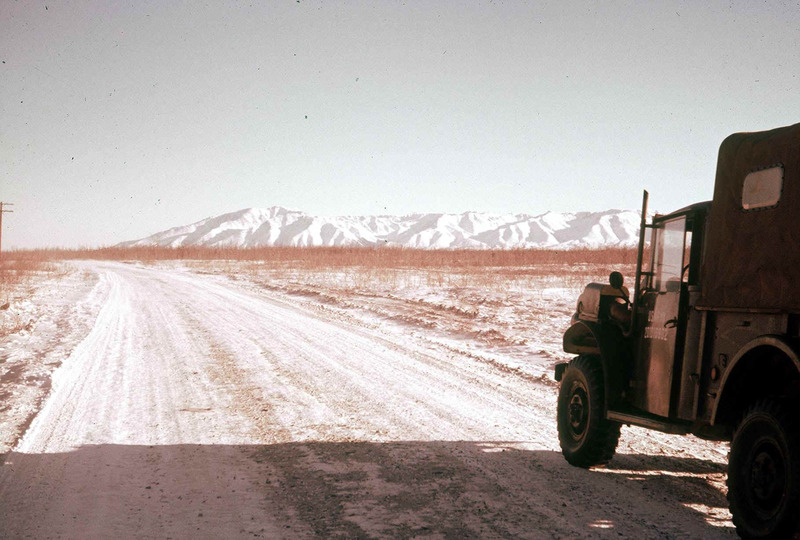 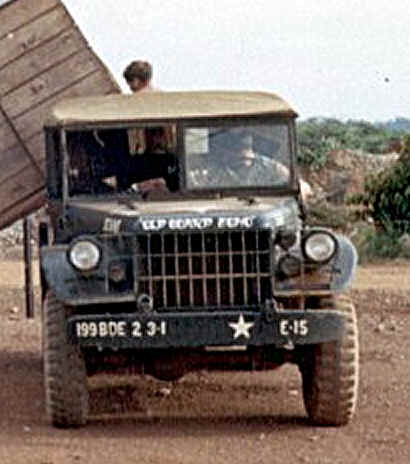 Jerry broke down near here in his M37 late one night , temperature near 50F below, and walked down to one of the tents to call the motor pool on a field telephone. 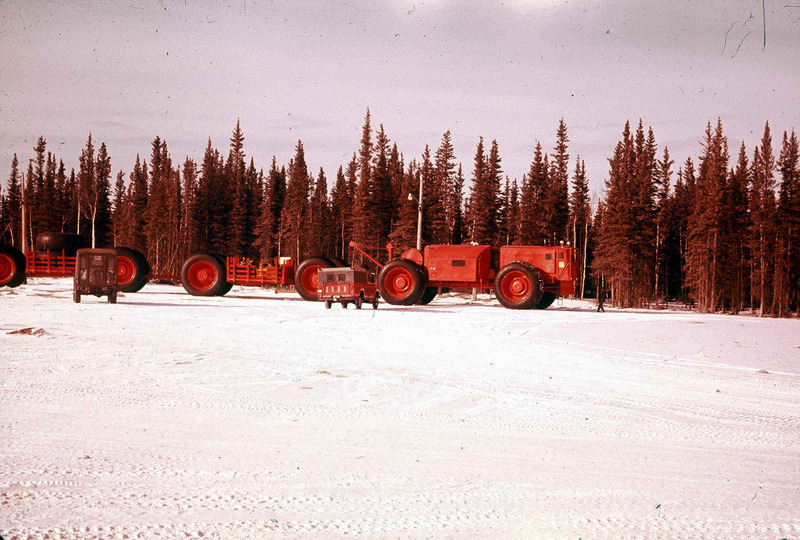 These guys lived out in the field like this for over a month. 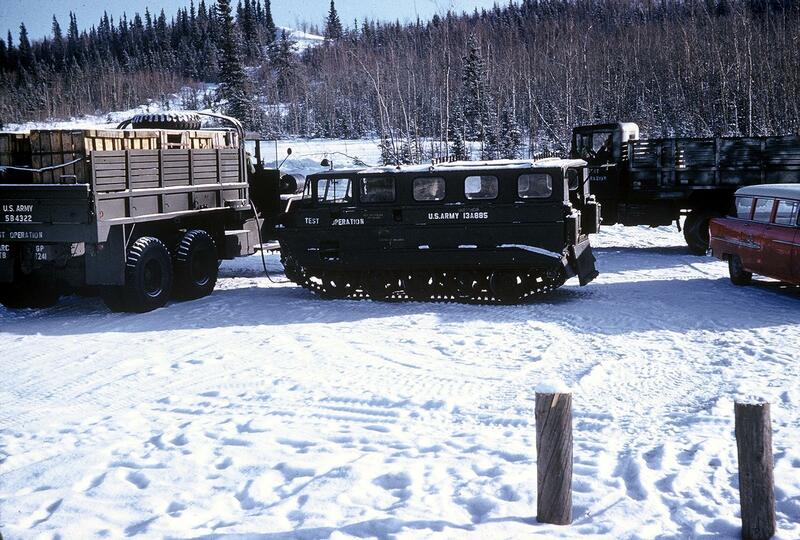 29 This is one of the tracked vehicles in the last picture (#28). 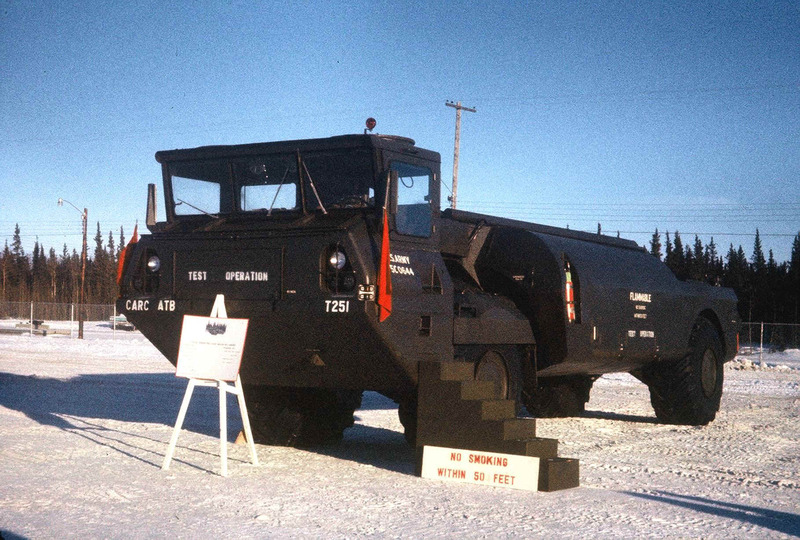 30 Canadian built test operations vehicle. 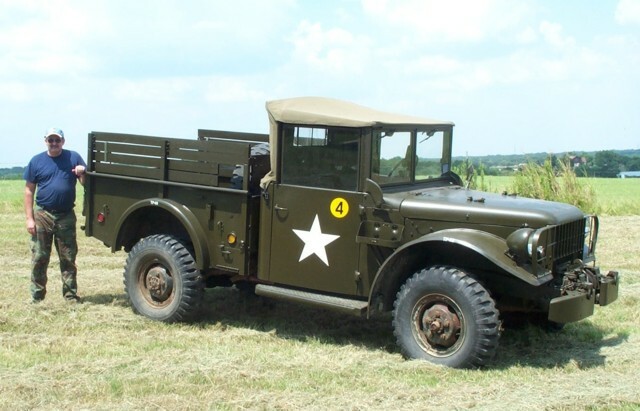 Listed in The Observers Military Vehicles Directory edited by Bart Vanderveen in the Canadian section where it is listed as a Nodwell RN110B. 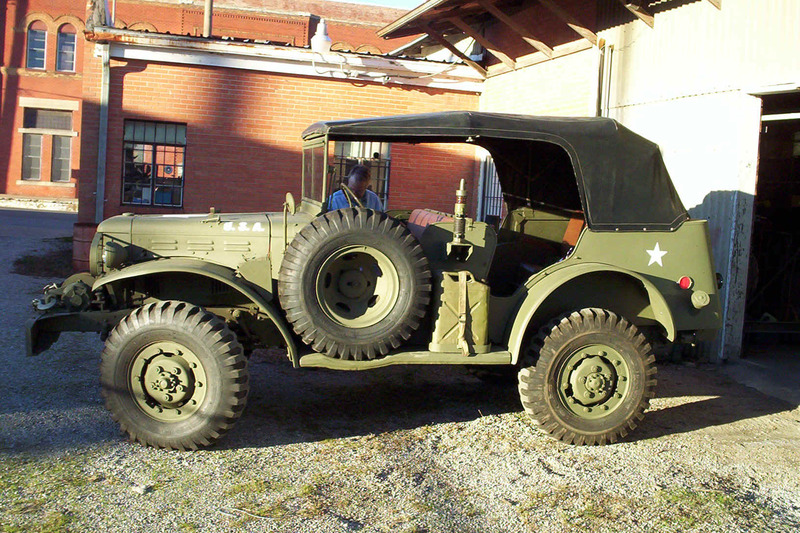 It had a Ford 292CID V8. 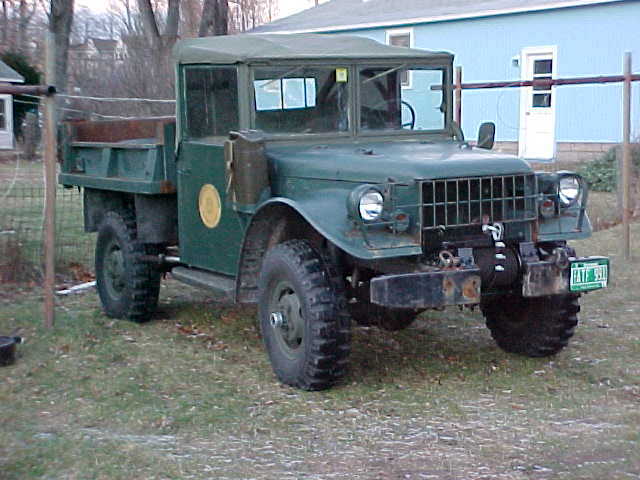 31 One of the GOER series of vehicles built by Caterpillar. 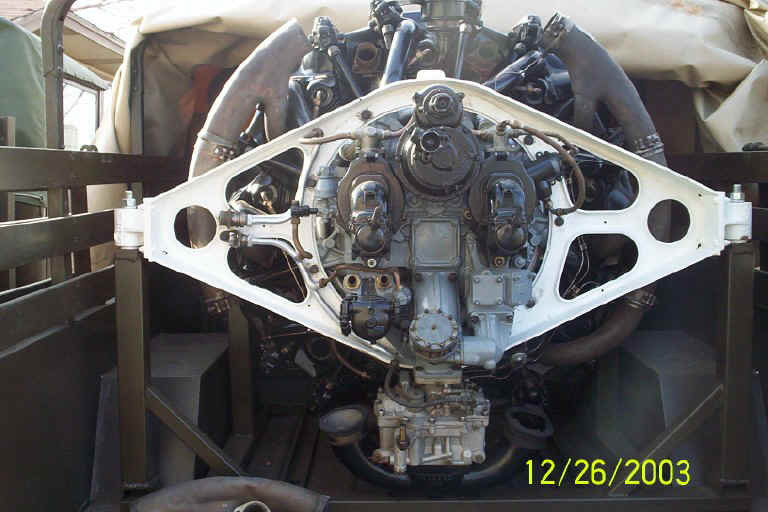 32 R975C4 Sherman tank engine. 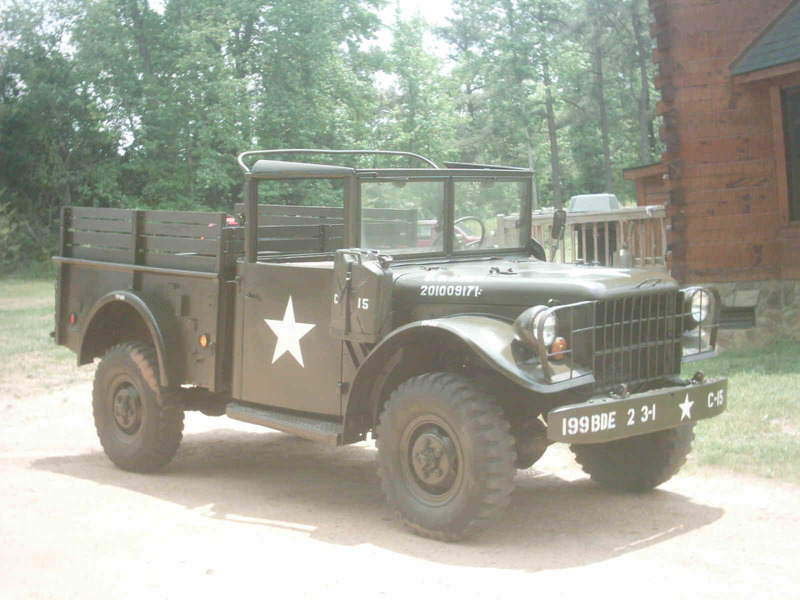 33 1944 WC 52 being restored, belongs to Jerry's brother. 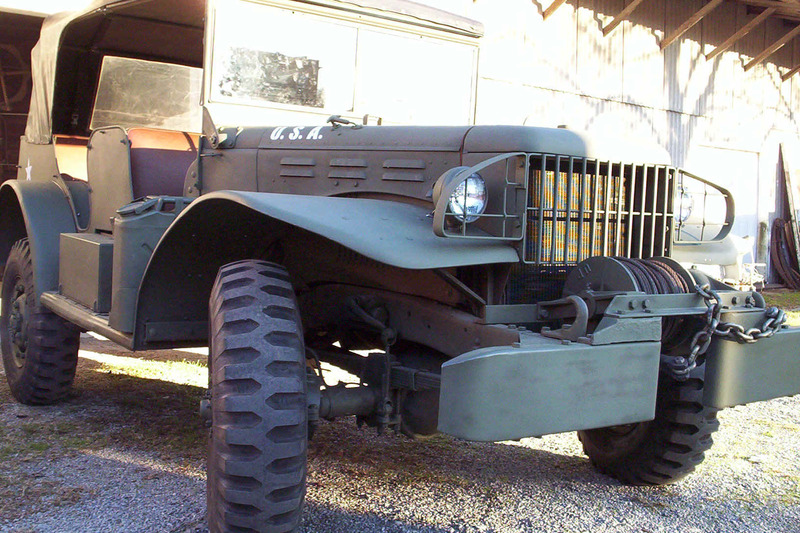 34 1944 WC 52 being restored, belongs to Jerry's brother. 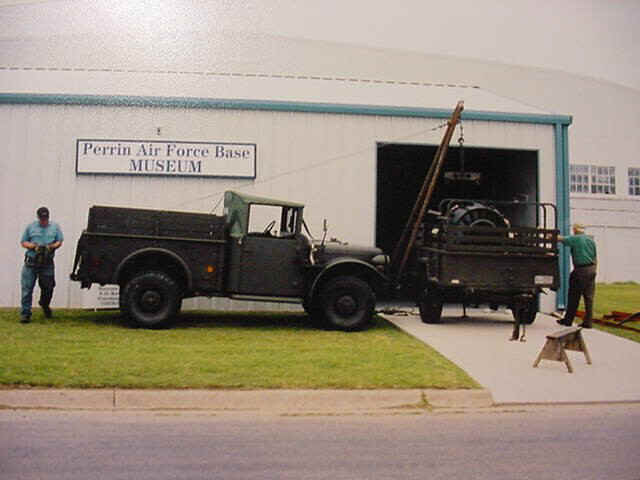 38-41 Jerry loaned a R975 Sherman tank engine to The Perrin Field Historical Museum to display. 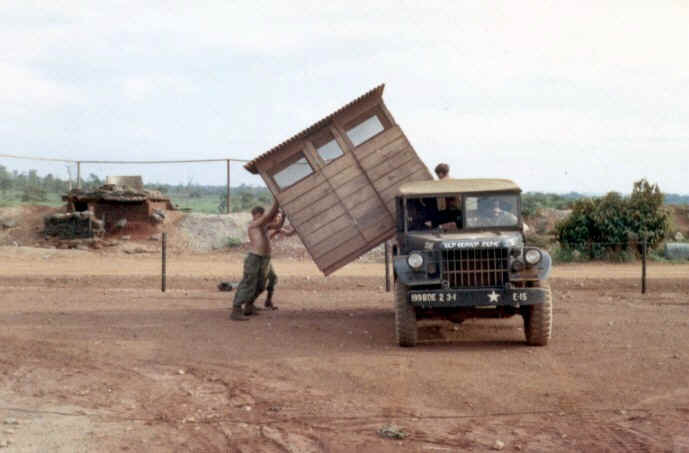 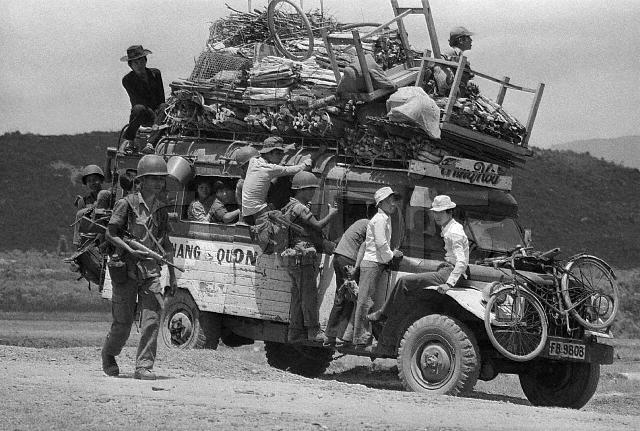 He unloaded it with his M37B1 and some gin poles . 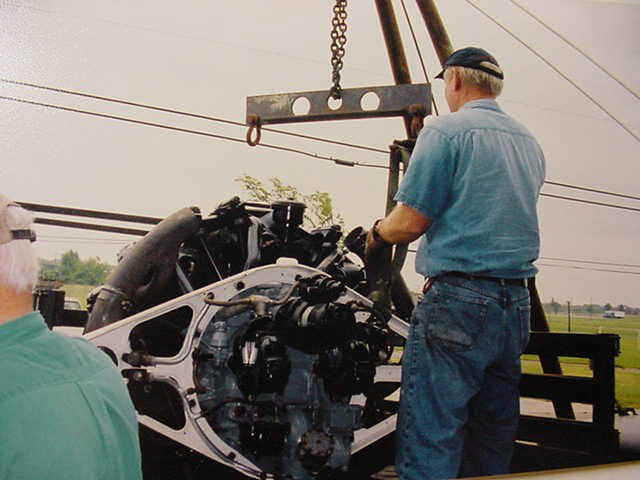 He found the engine in a salvage yard a few years ago and restored it as a static display . It was a Wright Whirlwind engine built from 1929 to 1945. 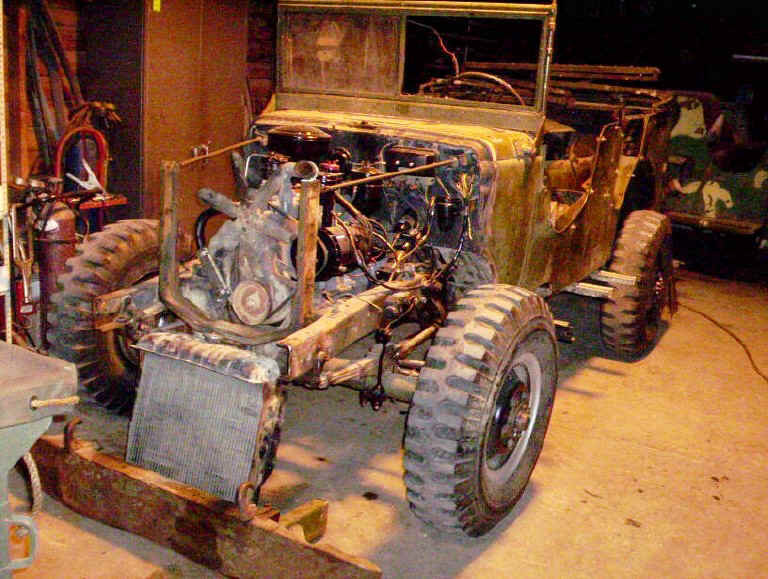 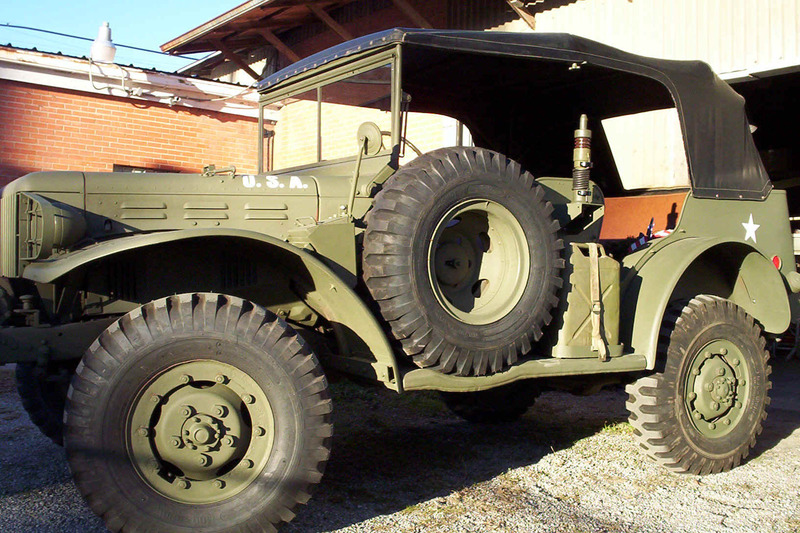 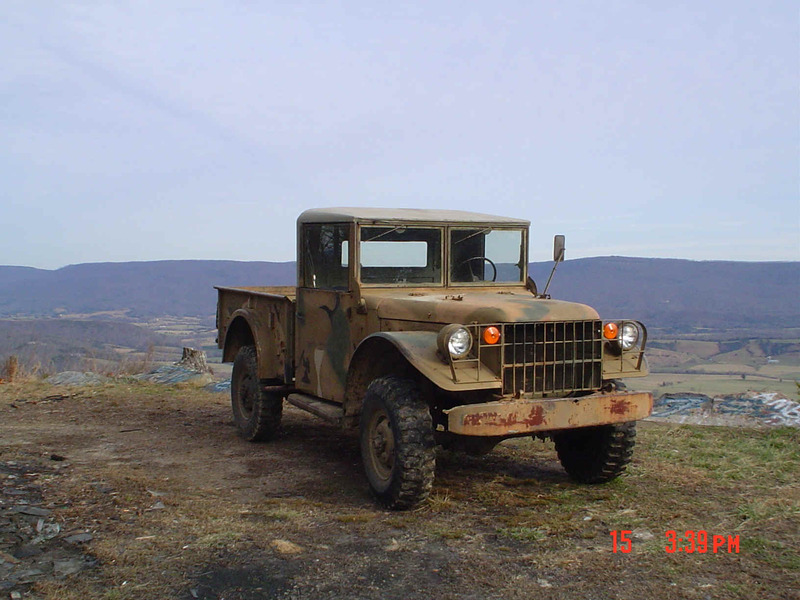 It was built by Continental Engine Company during WW2 and was adapted for use in tanks. 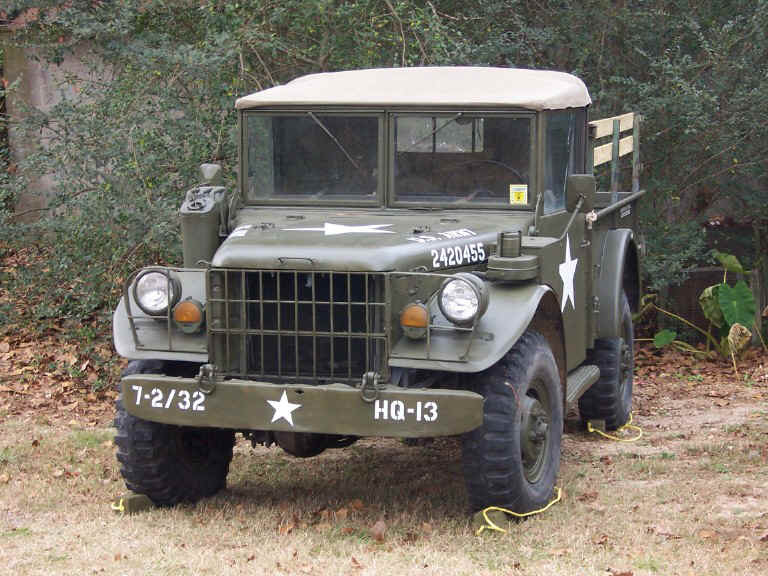 Used in the M3 and M4 meduim tanks and in the M18 Hellcat tank destroyer. 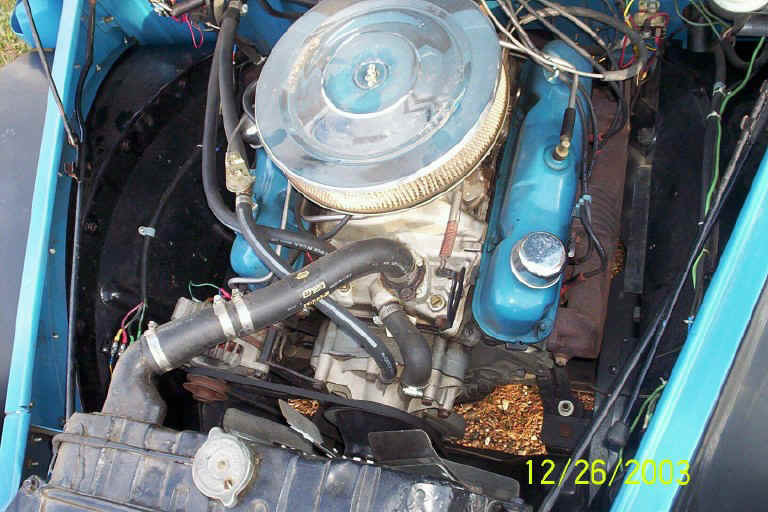 It was 973ci. 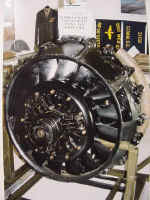 9cyl 400-450 hp. 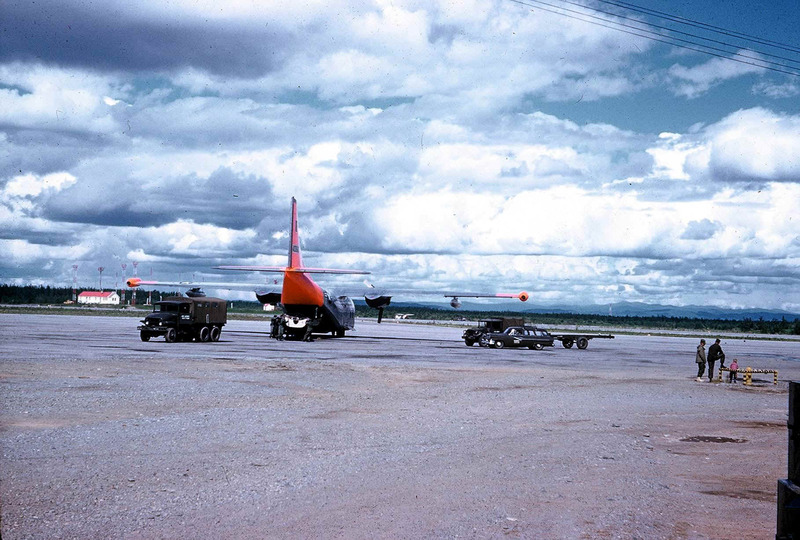 It was also used in BT15 basic trainers used to train pilots at this air field during WW2. 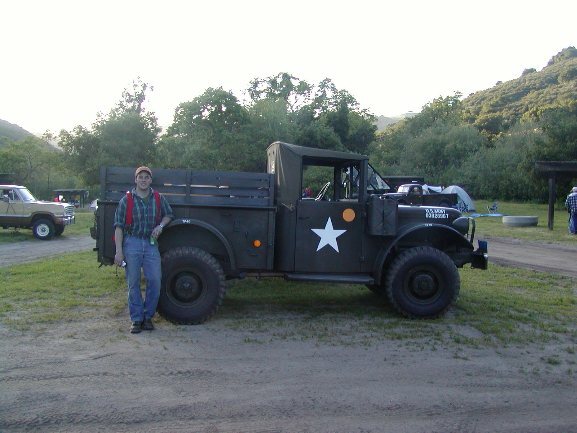 42-44 Some pictures of Jerry's brother's 1944 command car (see pictures above of it earlier in the restoration). 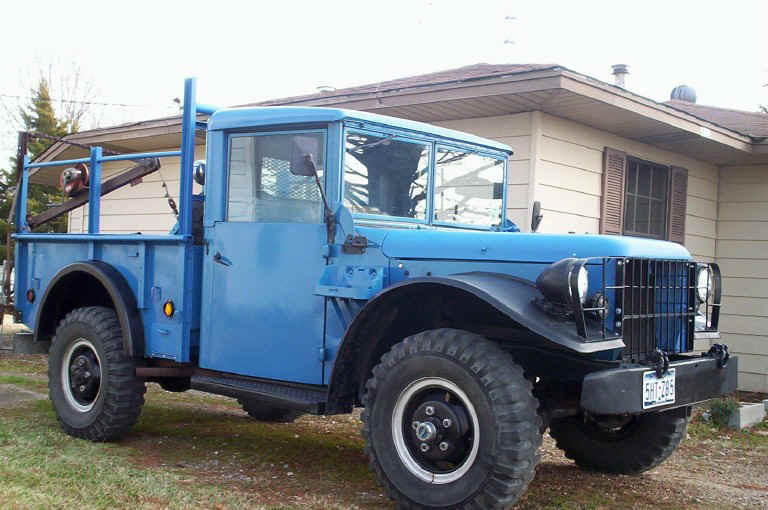 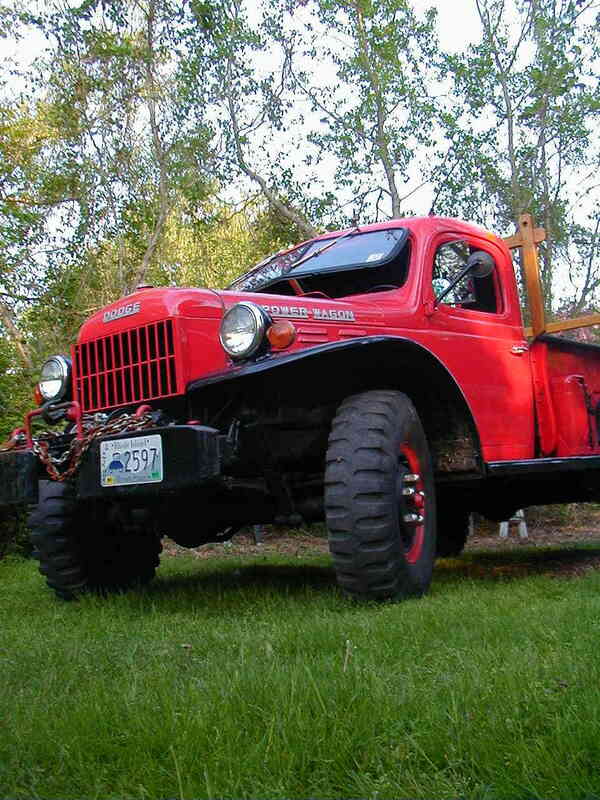 It had been given to the Swiss after WW2, reimported in the early 70's and set in a barn close to 30 years before Jerry's brother bought it and restored it. 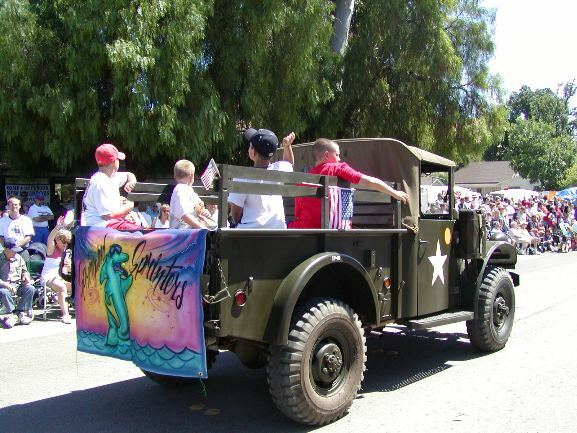 Got it ready just in time for the Christmas parade in 2004. 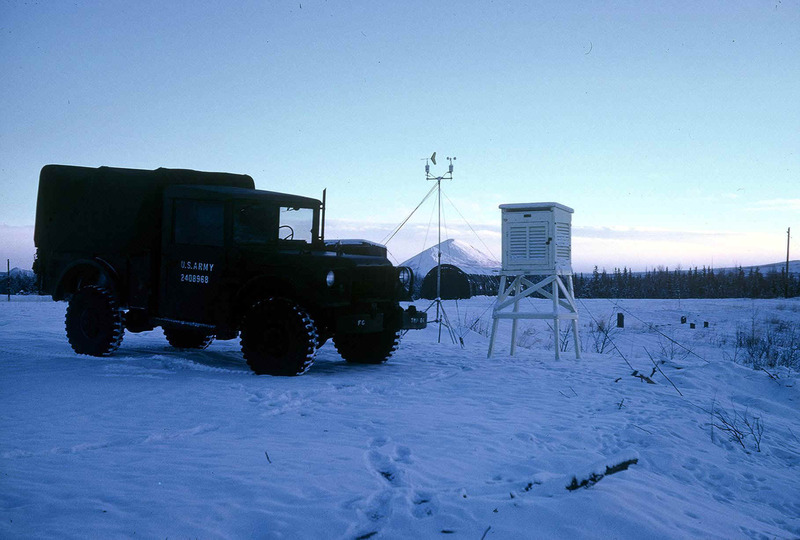 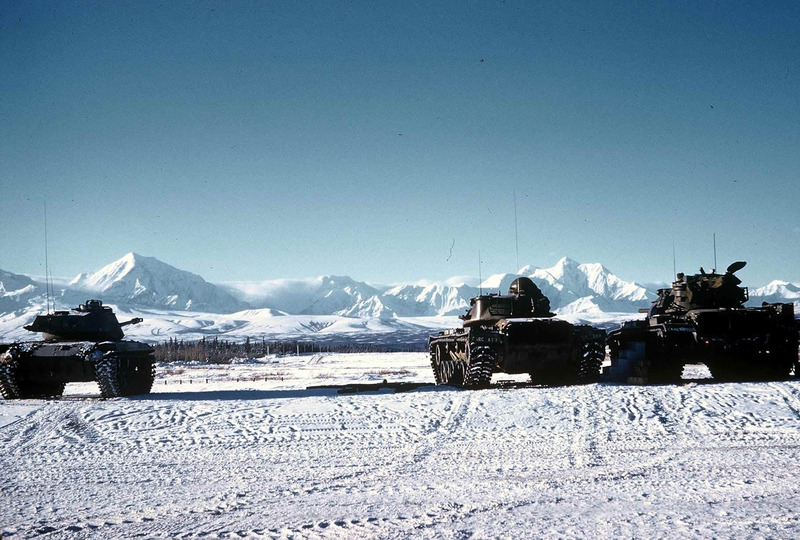 The bulk of the above photos where taken by Jerry Park while he was stationed in Alaska in the Signal Corp as a weather observer in support of the Continental Army Command artic test activity. 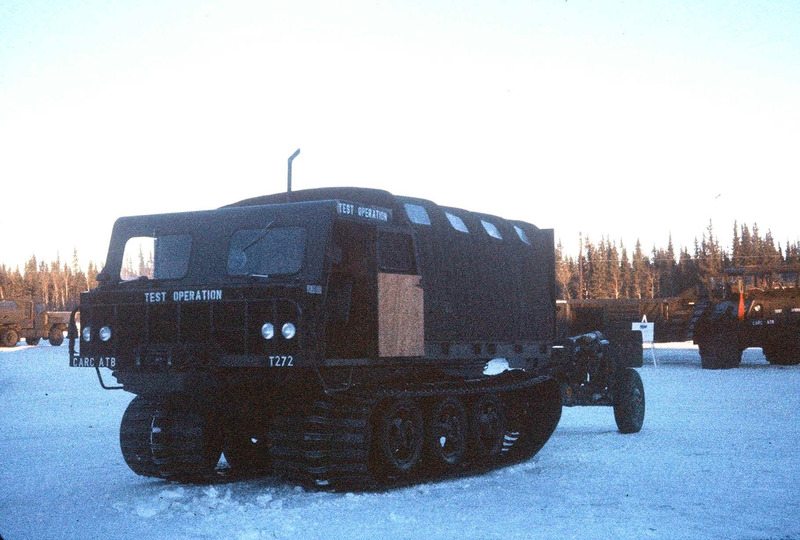 The only picture of the back of an M37 with an artic kit that he took is the one with the overland train. 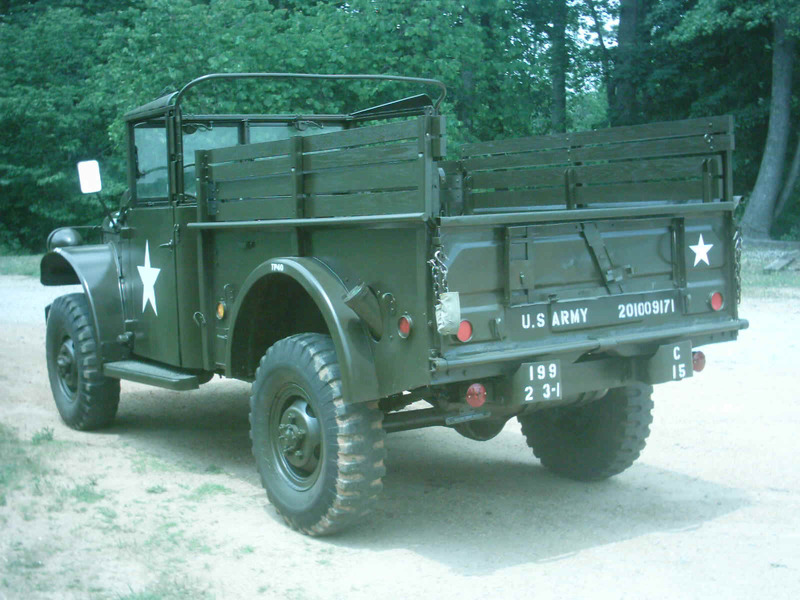 He states that "I wish I had taken more pictures of M37s and other vehicles in a documentary sort of way but little did I know that 45 years later I would own two M37s and be a member of the MVPA. 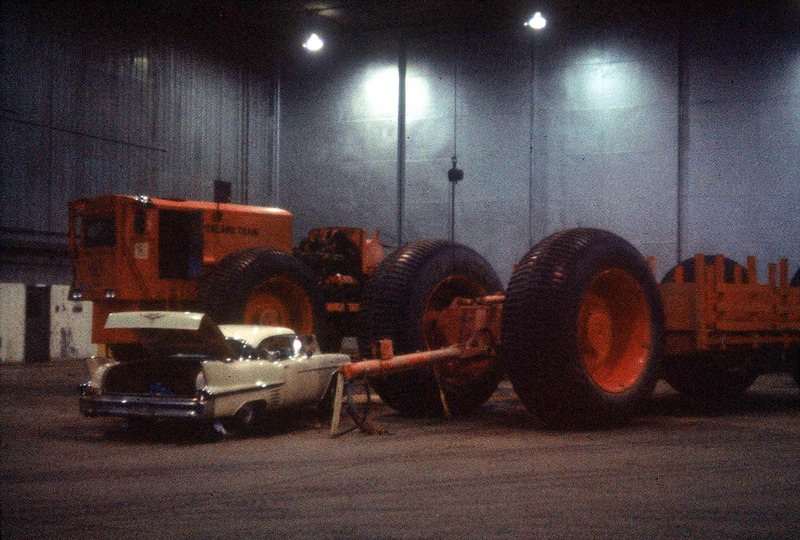 I took all color slides at the time with Kodachrome asa 10 and Ecktachrome asa 20. 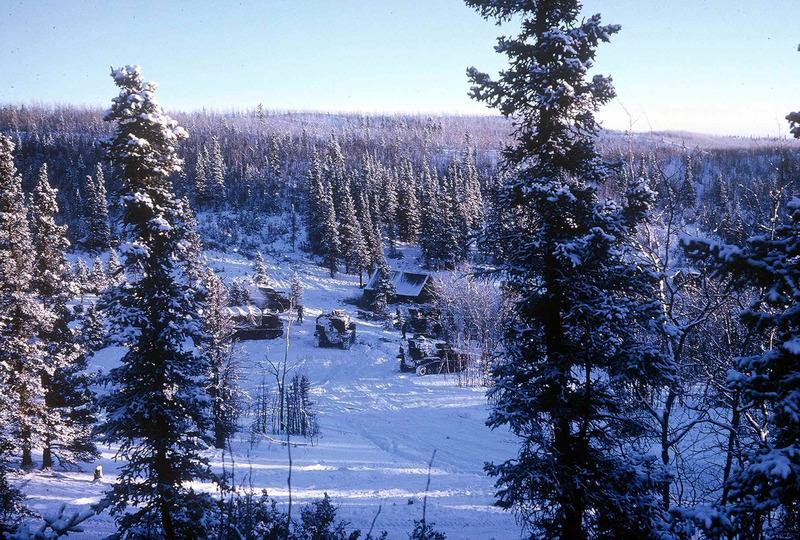 The Ecktachrome had sort of a bluish tint as you can tell in some of the pictures and I think the cold may have made it more so." 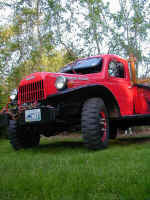 Other photos are more current and show show of Jerry's recent projects. 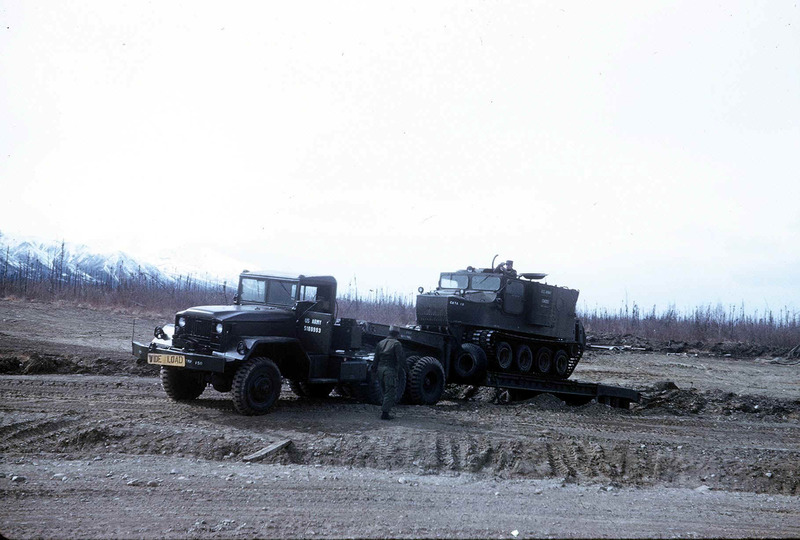 Photos A, B Doug Wickre's M37 up in AK. 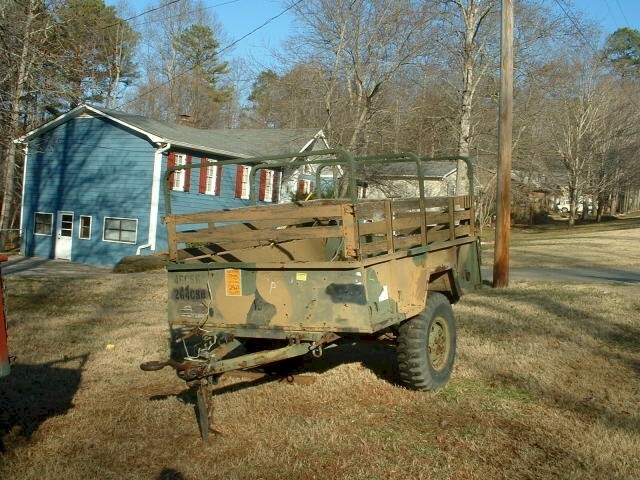 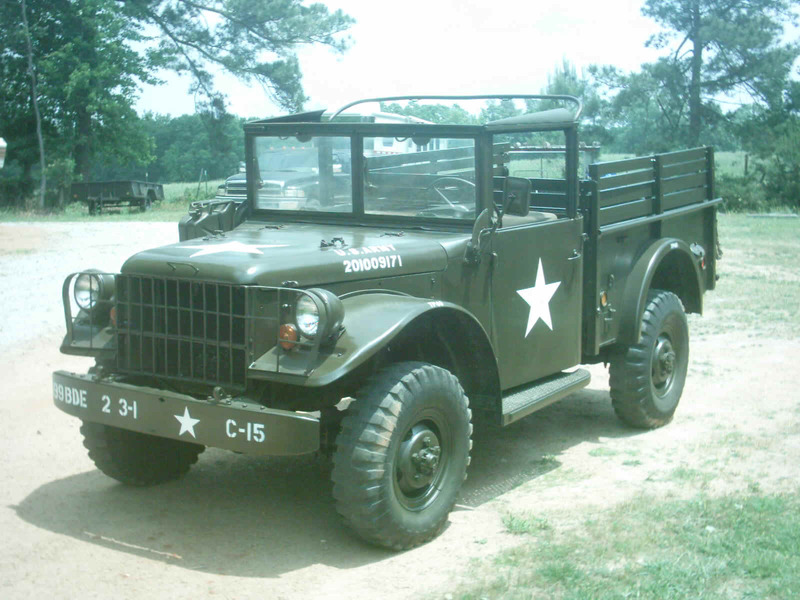 Photos E, F Carl Yancey's M101 from a GovLiquidation auction at Fort Bragg, NC and his M37. 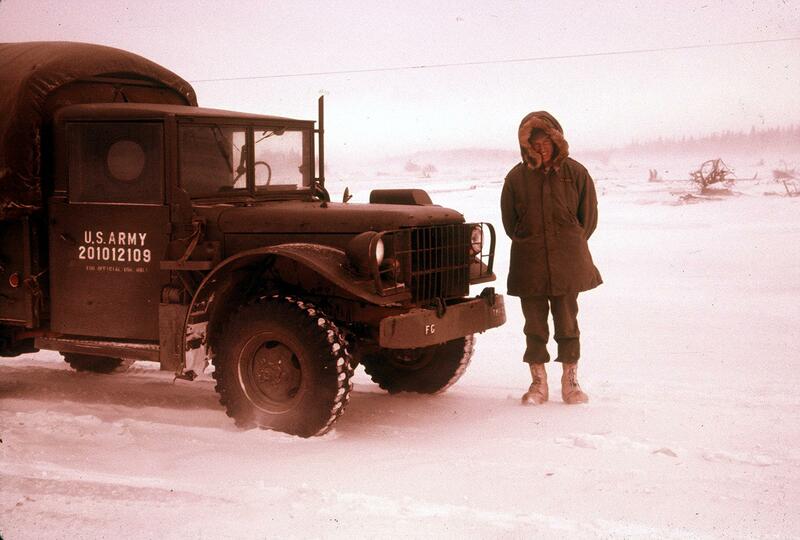 Photo H HolisW and his M37 in Texas. 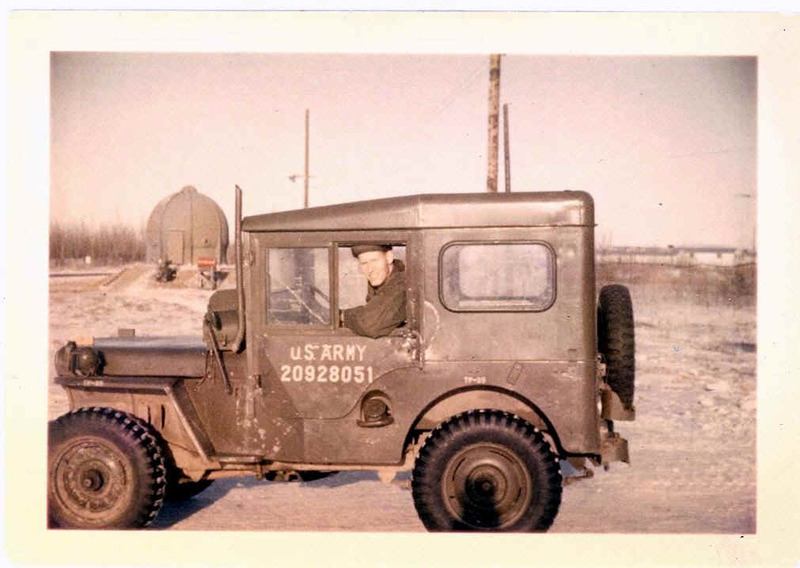 Photo I Jonas and his M37. 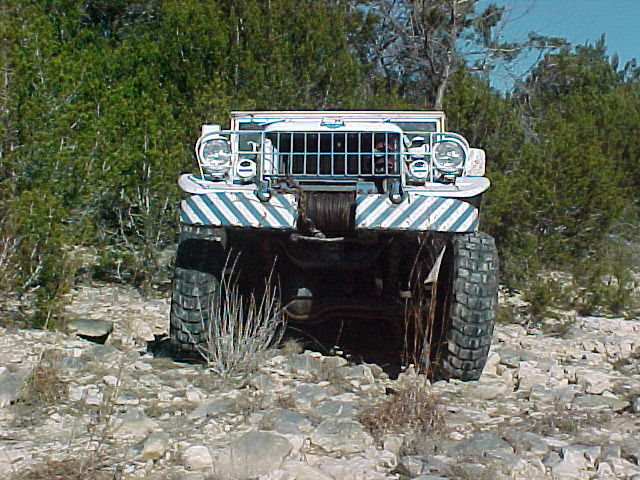 Photo K, L A Tim Peterson truck that is currently owned by Brad Zielinski in Texas. 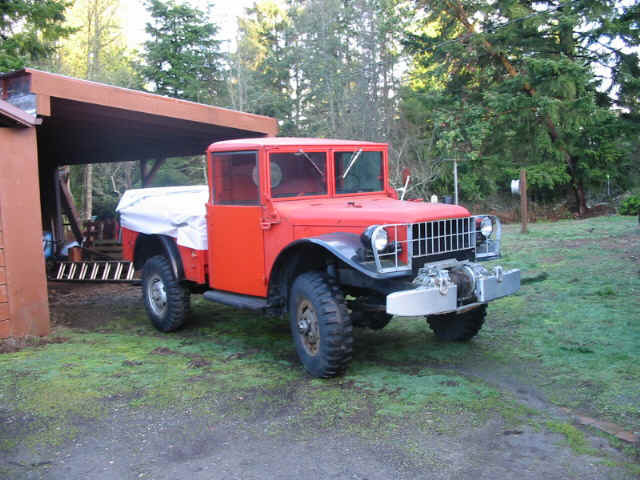 Photos U, V Judith in RI sent me these two photos of a civilian '50 and a '66 troop carrier (a work in progress) along with one of her MB2 fire truck (on photo page 13) in January 2005. 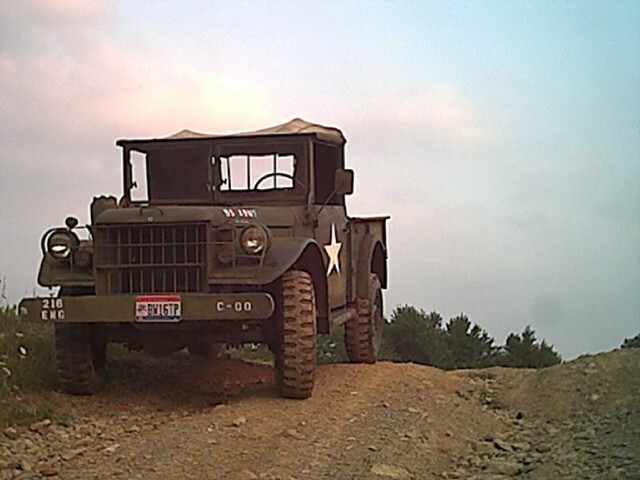 Photo W Mark sent me this photo of his "near stock" 62 M37 parked somewhere in the Tennesee mountains near Monteagle. 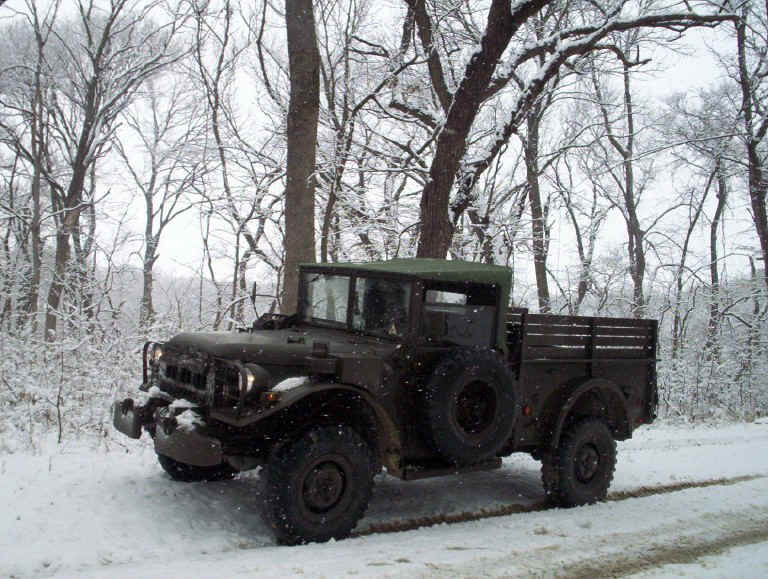 VIDEO Pierre also sent me a short video taken while driving his M37 in the snow that is located HERE. 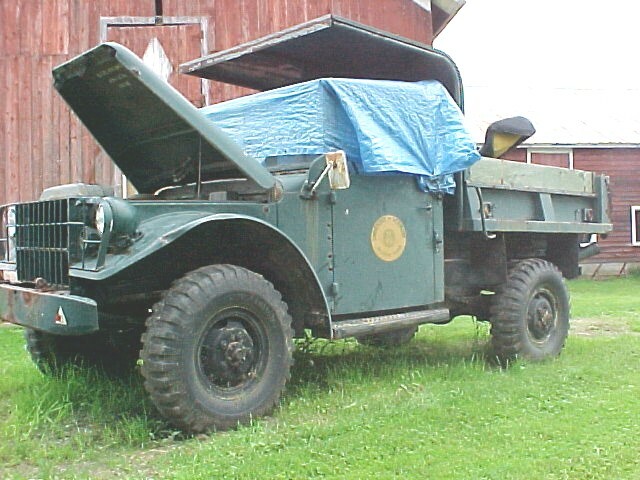 Photo AC Shot of Paul Mierop's Cummins 4BTA powered Carryall. 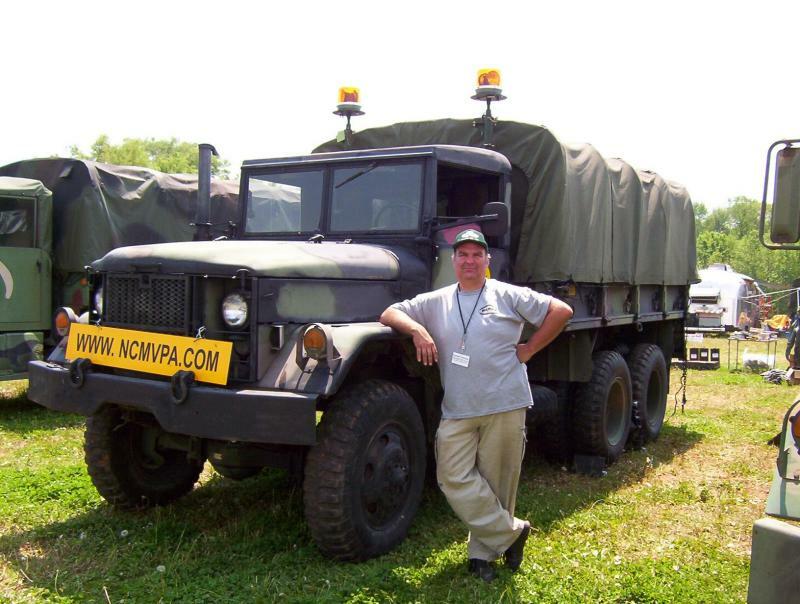 Photo AD Shot that Carter Davidson took of my M35A2C at the Aberdeen MV Rally in 2004.